ABB-free@home complete smart home solution, which simplifies smart home control and integration functions on one open platform, will launch in the United States at the CEDIA Expo in San Diego, CA September 6-8. ABB will exhibit the new products at Booth 916 during the CEDIA Expo 2018 exhibition. ABB-free@home simplifies climate control through its state-of-the-art thermostat. 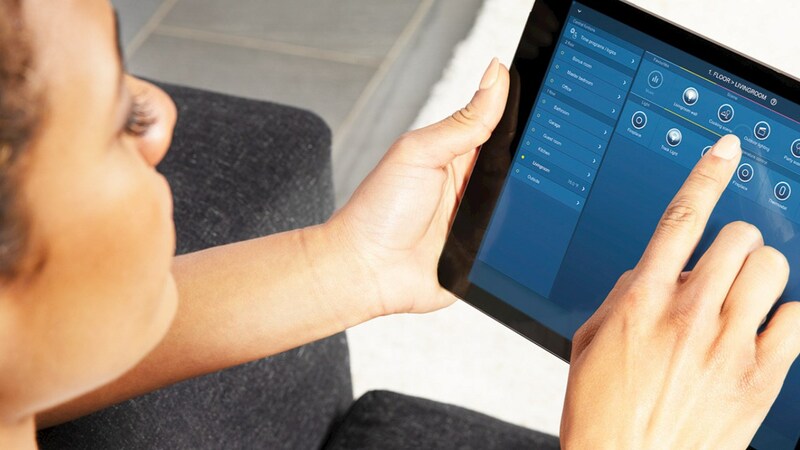 The new ABB-free@home smart home automation system facilitates the control of such functions as climate, lighting, door communication and entertainment from a touch panel or a range of in-wall controls as well as via a tablet or smartphone, even remotely. It can also be integrated with Phillips Hue®, Sonos®, Amazon Alexa®. The simple and straightforward installation of the ABB-free@home solution, makes it easily accessible to a wider range of professional installers. The system connects directly to the homeowner’s Wi-Fi network and integrates a variety of smart devices. Its touch panel and in-wall controls are intuitive and simple to understand and quickly learn the system. “Our goal is to make people’s lives easier, safer, more comfortable and enjoyable through the application of smart home solutions. This momentous launch in the US represents a significant step forward in achieving that,” said Franklin Sullivan, Lead Division Manager, ABB Electrification Products US. ABB’s smarter home and building solutions are ideal for both homes and apartments. In the United States, these offerings are available under the ABB brand. Users of ABB-free@home will be able to control climate and lighting scenes through Amazon’s cloud-based voice service, simply by telling Alexa what they would like to do. The user simply needs to link his or her Amazon account to the “MyBuildings” account in the Alexa app and Alexa will be activated. ABB-free@home will allow Sonos speakers to be controlled from the ABB-free@home app, the ABB-free@home in-wall keypad and the ABB-free@home touch panel. Users will be able to see and create speaker groups, start, stop, mute and skip songs, and adjust the volume, enabling users to integrate their favorite music into scenes. With ABB-free@home, functions such as climate and lighting control, can be triggered based on the home owners or tenants location. Should the system recognize that someone has left home, it can adjust the temperature, light settings and also revert back to the comfort settings to help reduce energy usage. The ABB-free@home thermostat is a Red Dot Award 2018 winner. Red Dot is recognized internationally as one of the most sought-after seals of quality for good design. 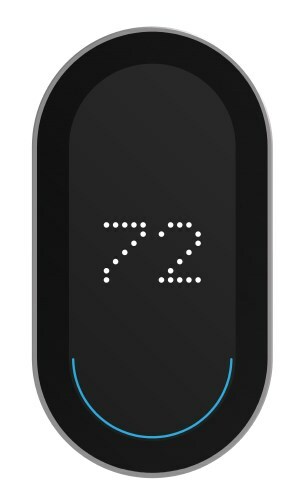 Featuring a compact, simple design, the iconic ABB-free@home thermostat incorporates a precision machined, glass-bead blasted aluminum frame with a tempered glass front. This provides an elegant appeal with unparalleled stability and enhances the visualization of its primary function: regulating the temperature.